The People: The entire team at Holmes is wonderful! Their personal interest and passion for the sport is so contagious and motivating that even the non-enthusiast will be eager to get started. You will feel incredibly comfortable talking to them and be quick to tell how knowledgeable they are, which is priceless when you are trying to make a buying a decision. 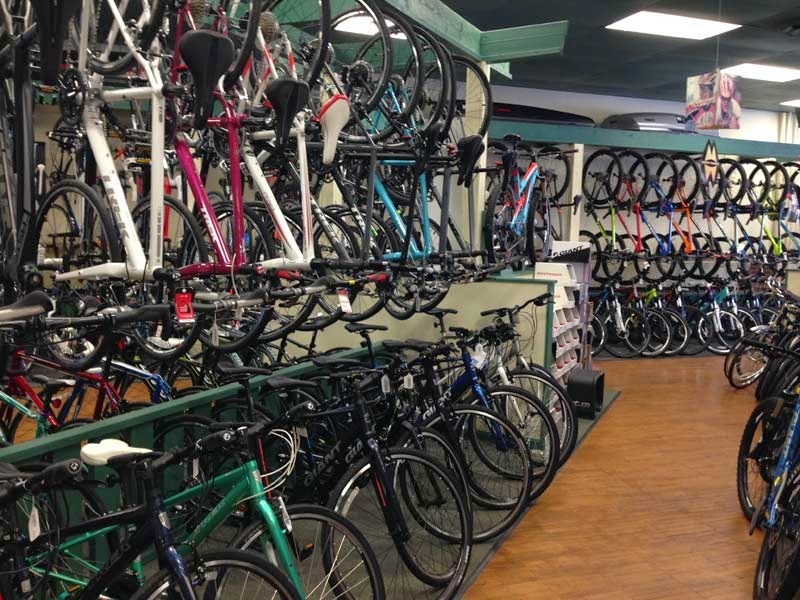 Shopping at a family-owned bike shop compared to a department store is a completely different experience...you create lasting relationships with service and advice you can trust. Customer Satisfaction: They make it easy to feel good about your purchase and want their customers to leave completely satisfied. They will fit you to a bike and encourage you to take a test ride, providing you suggestions for safe routes around their shop. Products: Holmes carries a wide range of bikes and accessories for all levels of experience and age, from toddlers on up to adults, and all budgets. Bikes for adults start at $300 and go up to $10,000 and most of their inventory is in the entry- to mid-level category. They recently opened an online store...see what they have and then go to the store for a personal shopping experience. Rentals: If you are visiting and want to take advantage of cycling through the beautiful Cumberland Valley, you can rent a bike at Holmes. If you live here and you are thinking about getting into the sport, you can rent one first before you purchase. Pricing starts at $40/day. Find more information on their rental program here. Be sure to check out our Cumberland Valley cycling routes, complete with cue sheets and maps. Quality and Service: They only carry quality merchandise, so with the proper maintenance your bike will last a very long time. In fact, the resale value of a bike purchased at a bike shop will be much higher. Free professional assembly, and tune ups and adjustments for one year are included with all bike purchases. Financing: They have 6-month or 12-month interest-free financing opportunities! 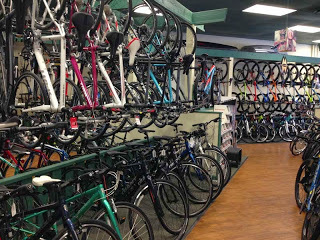 Whether you are looking for a bicycle to ride just for fun, your next big race or basic transportation, shop local and make Holmes Cycling & Fitness your first stop. You’ll be happy you did.